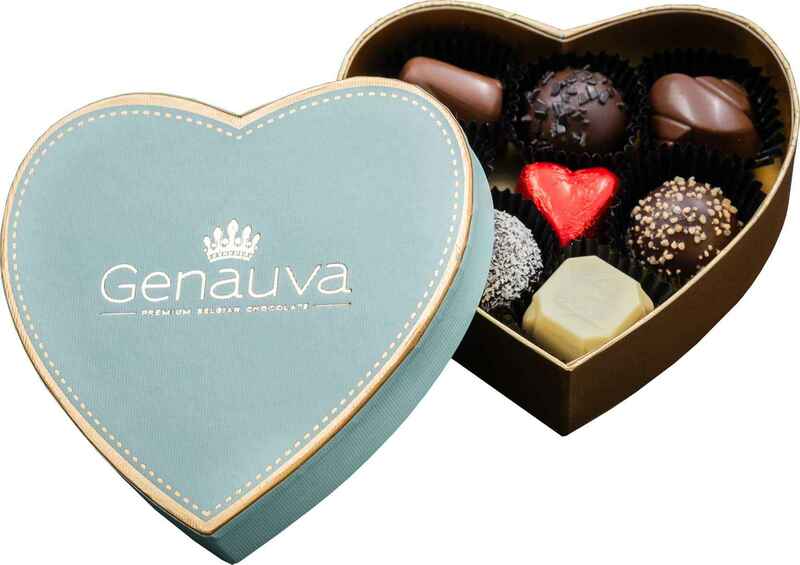 This pre-mixed box is called our Love collection. 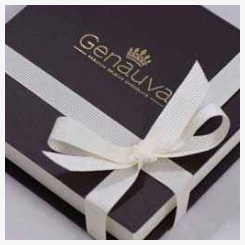 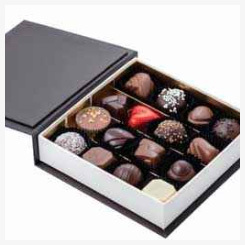 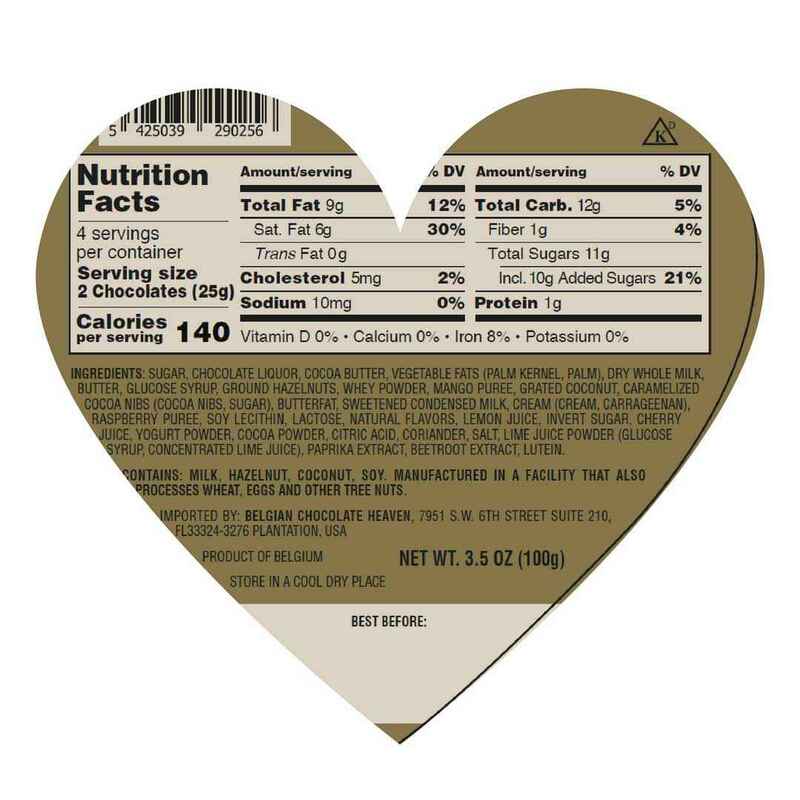 Every chocolate lover will find his preferred chocolate in this box.. 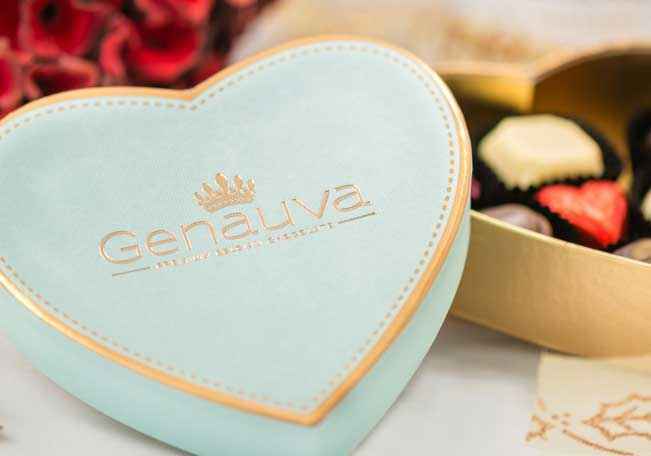 The names of the 9 different chocolates are related to our Kings and Queens, monuments, cities or specialites of our small country , Belgium. 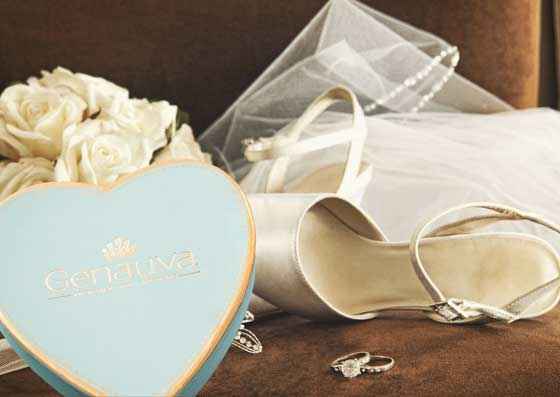 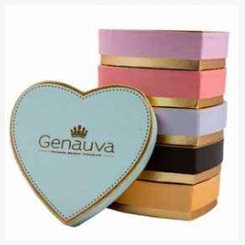 This beautiful and stylish gift box is truly a joy to receive or to give to you beloved ones or relations.